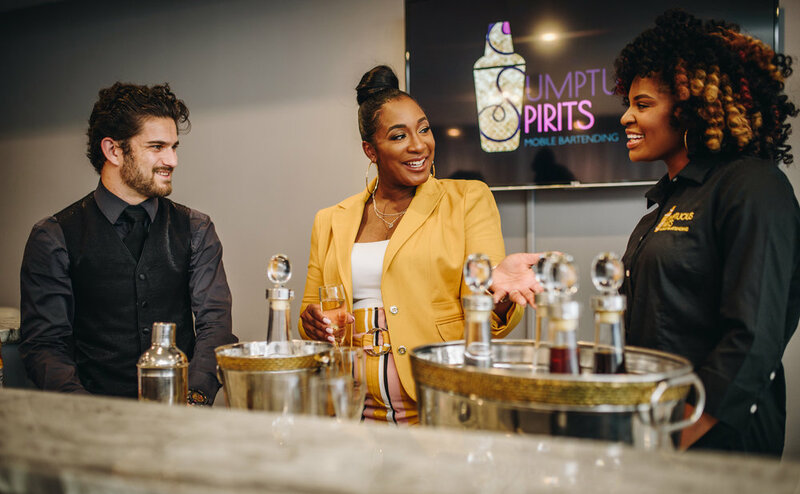 Sumptuous Spirits is a full-service bartending company that provides superior bartending services for social and corporate events, private parties, and weddings. We specialize in creative libations and great service, two qualities that are essential to a great bar experience. We ensure the bartending services, cocktails, and menu are crafted to meet the needs of each event. Not only will your guests be pleased, but the host(s) will be able to enjoy their event. Servicing Metro Detroit, Ann Arbor, Lansing, Grand Rapids, Chicago, Il. We tailor our services to meet the event’s bar needs. We work with an array of events, from small and intimate to large and lavish. We have you covered! Our hands-on team works to ensure we understand your event budget + details and utilize that information to create an amazing bar menu and craft cocktails that your guests will love.